Seton Hill University in Greensburg, Pennsylvania has announced that starting this fall 2010 semester, full time students will be given a new iPad and a MacBook. 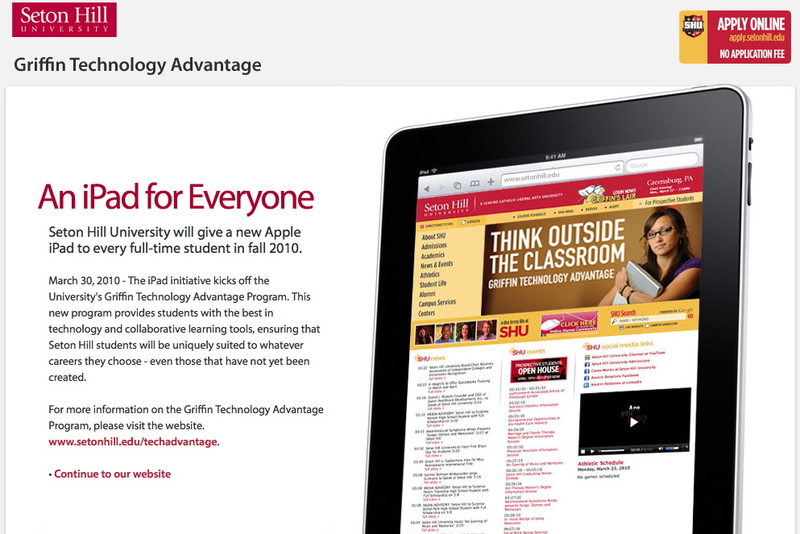 More information at the university website and The Griffin Technology Advantage page. Via electrony.net. ohh man , how lucky are they?